The children born May 21 to June 20 understand that being the sign of the twins, Gemini, can be the most outrageous fun and burdensome at the same time. At times it’s as though you are literally carrying your twin self around with you. Gemini is ruled by the planet Mercury and is an air sign, which means that you think you know everything. It’s okay, you are really good at convincing others that you know everything too. 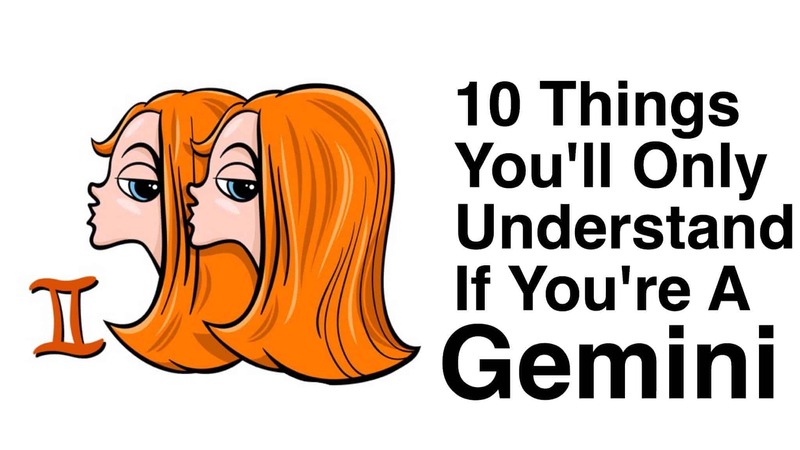 Let’s look at 10 other things that you’ll only understand if you’re a Gemini. As the astrological sign represented by the twins, Gemini is a sign with multiple personalities. You can be Dr. Jekyll or Mr. Hyde depending on the situation. As an outgoing person, you are open an welcoming to people of all kinds. Well, maybe not negative people, or boring people, or people with no style, unless they let you make them over. You love being stylish but would never be happy with the latest look for a single designer. One of the things you’ll only understand if you’re a Gemini is that looking like anyone else is such a faux pas to you that you accessorize to the max. Of course you can finish that project that you started on 3 weeks ago, you just lost your drive about halfway through it. Maybe your Gemini twin self will finish it for you one of these days, but no one should be expecting that the project will be done by a certain day or time, that’s for sure. Gemini has a reputation for being nervously twitchy and unable to sit still for very long. You have a high amount of energy, that others may call nervousness, but that you know is really your desire for something NEW NOW that keeps you from being patient. You are already boring to Gemini if you aren’t able to be changeable, flexible, able to switch topics quickly, have high energy and enthusiasm, and are ready for a spontaneous dance party to break out at any moment. Oh, let’s face it, you are the star of the show at any party or event, with your elegant style and effortless charisma. Gemini is desireable for their ability to stimulate all of your senses, and arouse your mind, emotions and energy all at once. A Gemini lover is unforgettable. You are up to any challenge that your lover might have for you in bed and twins love variety. Really, your lover is getting to have a three-way with you since you are such a dual personality. You may only understand this if you’re a Gemini but your thirst for knowledge is pretty unquenchable. You LOVE learning; about people, foreign countries, cultures, theories, beliefs, etc. You are more likely to travel than almost any other zodiac sign because you are seeking knowledge. You do not like being tied down, pinned down, caged up, holed up, hiding out, etc. Being out there in the world, learning, seeing, talking, and experiencing things is what Gemini is all about. Unless you’re in one of your moods. Then your twin will talk you into going out anyway. One of the benefits of being a Gemini is to be able to change who you are to fit the time, place, and people you are with. This flexibility of persona makes you adaptable to any social situation. You make friends with people easily, but you hate fake people. Others may shy away from touchy subjects, debate, or emotional issues, but not Gemini. You’ll only understand that conflict is just a talk about a topic and that it’s nothing to get upset about if you’re a Gemini. 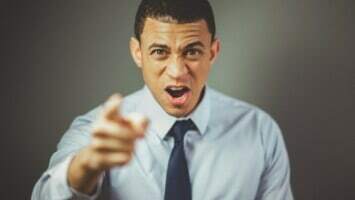 Of course, Gemini also will cut you off when you are speaking about something depressing to talk about him or herself, but at least your Gemini friend will ask the deep questions that other people are afraid to. Gemini understands pain, but rarely shows it on the outside.